Looking back nine generations, Kathleen Babineaux Blanco’s ancestral great-grandfather, Nicolas Babineau was among the first settlers who came from France in the late 1600s to make a home in the southeastern region of Canada then called Acadie. Nicolas’ grandson, Louis Charles Babineaux and his family left Acadie to resettle in South Louisiana in the mid 1700s. Seven Louisiana generations later Kathleen Babineaux Blanco, descendant of those hardy French Acadians became governor of Louisiana. Through her intense and unrelenting work ethic this daughter of Acadiana demonstrated a deep love for the people of her state who chose her to lead them during her state’s most difficult days. While it was some of the most challenging work, she looks back with pride at her successes and deeply appreciates the honor bestowed upon her. On January 12th, 2004, Kathleen Babineaux-Blanco, a native of New Iberia, became the first woman to serve as governor of Louisiana. She was the third person of Acadian descent and the first descendant of the Malaquenos settlers of New Iberia to serve as governor. When first elected, her top priorities included providing affordable healthcare, improving the state’s education system, and creating a strong and vibrant economy. Demonstrating outstanding successes during the first one and one-half years into her term, the State of Louisiana was improving in these and many other areas. Additional responsibilities and priorities were then added to her agenda when coastal Louisiana was destroyed by two hurricanes that struck less than one month apart. First Hurricane Katrina devastated the southeastern New Orleans region, an urban area of 1.4 million people. Then Hurricane Rita struck the southwestern coast, displacing another 300,000 people. More than 200,000 housing units were destroyed, 81,000 businesses were closed, entire electrical and telecommunication systems were torn apart and one million people were made homeless as a result of severe flooding caused by levee failures and storm surges from intense hurricane winds. Governor Blanco oversaw the massive rescue effort utilizing state employees, law enforcement agencies from across the state and nation, citizen volunteers and federal emergency services such as the U.S. Coast Guard and the U. S. military. More than 60,000 people were rescued and removed from the affected region. As Commander-in-Chief of the Louisiana National Guard, Governor Blanco called on her fellow governors for troop reinforcements, as over one-third of her own soldiers and airmen were serving in the Iraq and Afghanistan conflicts. The response from those states delivered nearly 40,000 National Guard troops to her command, one of the largest domestic activations in the nation’s history. Governor Blanco convinced a sometimes reluctant Congress and President George W. Bush, to send billions of federal dollars to Louisiana to rebuild or repair homes and rental properties, and to invest in rebuilding public infrastructure. But rebuilding required more than physical recovery. She led the initiative to reorganize and reform the 107 underperforming public schools in the city of New Orleans and reorganized the city’s basic government structure. Because of her efforts nearly 130,000 families in coastal Louisiana received large grants to restore their homes. By the end of her term she met all her initial goals for the state, especially prioritizing education investments from pre-kindergarten to universities, bringing Louisiana to the Southern Regional average for the first time. She successfully recruited a number of new businesses to Louisiana and provided proper funding and strong policies which guided the recovery of coastal Louisiana. She left office with properly balanced budgets and a $2 billion dollar surplus. During her distinguished career spanning 24 years in elective office, Governor Blanco’s policies were guided by her vision of strengthening all citizens by inspiring hope and opportunity across the state. 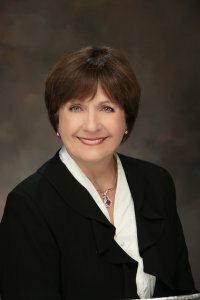 Elected as the first woman legislator from the city of Lafayette, she served five years in the Louisiana House of Representatives, focusing on education and transportation issues. She then became the first woman in Louisiana elected to the Public Service Commission where she served seven years, developing an expertise in utility regulation. Her skills and knowledge were recognized when she was chosen to preside as the first woman chair of the PSC and re-elected to her second term at the commission without opposition. She was then elected Lieutenant Governor, the state’s second-highest office. During her eight years of service she built Louisiana tourism into a nationally recognized record-breaking $9 billion industry by guiding communities large and small in development of their cultural assets. Governor Blanco has traveled internationally, promoting Louisiana in European countries such as France, Spain, Italy, Germany and England as well as Canada, Mexico, Brazil and several countries in Central America. She led economic development missions to Japan, China, Taiwan, Cuba and Kuwait and visited the Netherlands to examine flood control measures. To gain a better understand of tensions in the Middle East she visited Jordan and Iraq, flying into Bagdad’s war zone to visit U.S. troops. Governor Blanco has received numerous awards nationally and internationally, including three honorary doctorates. In the year 2000, the Université Sainte-Anne of Pointe-de-l’Eglise, in Nouvelle-Ecosse (Nova Scotia), in eastern Canada honored her with an honorary Doctor of Laws for her work in preservation of the French culture. Xavier University of Louisiana of New Orleans bestowed the honorary Doctor of Laws to the Governor in 2004 for her outstanding work in government and dedication to education. In 2007 Southern University of Baton Rouge, Louisiana recognized Governor Blanco with an honorary Doctor of Laws for her work in improving state government, effectively fighting for recovery after the hurricanes and for her support of higher education. In 2008 she was honored by the Rockefeller Foundation with a treasured fellowship housed in Bellagio, Italy, where she worked on key elements of her memoires. She is a graduate of Mt. Carmel High School in New Iberia, Louisiana, and earned her bachelor’s degree at the University of Louisiana in Lafayette. Upon graduation she worked as a business teacher at Breaux Bridge High School. She later worked as a district manager for the U.S. Department of Commerce during the 1980 Decennial Census initiative. With her husband, she owns Coteau Consultants, a political and marketing research firm. She has done consulting work in health care and has been a guest lecturer at universities in Louisiana and across the United States. Now retired from elective office, Governor Blanco is invited to speak nationally and internationally on a wide range of topics including economic development, public service, education reform, disaster preparation and leadership development. She is writing her memoires, does consulting work, and serves on the board of directors of Gulf Coast Management Fund. She is married to Raymond S. Blanco who, after 47 years of service, retired from the University of Louisiana in their hometown of Lafayette. He served as Vice-President of Student Affairs, and began his distinguished career at UL as a winning football coach. The Blancos pursued successful careers while parenting six children: Karmen, Monique, Nicole, Raymond, Jr., Pilar and Benedict (1977-1997). They are the proud grandparents of 13.